Like headphones, cases, and portable bluetooth speakers, there is a wide selection of wireless chargers for just about every major smartphone that comes out. 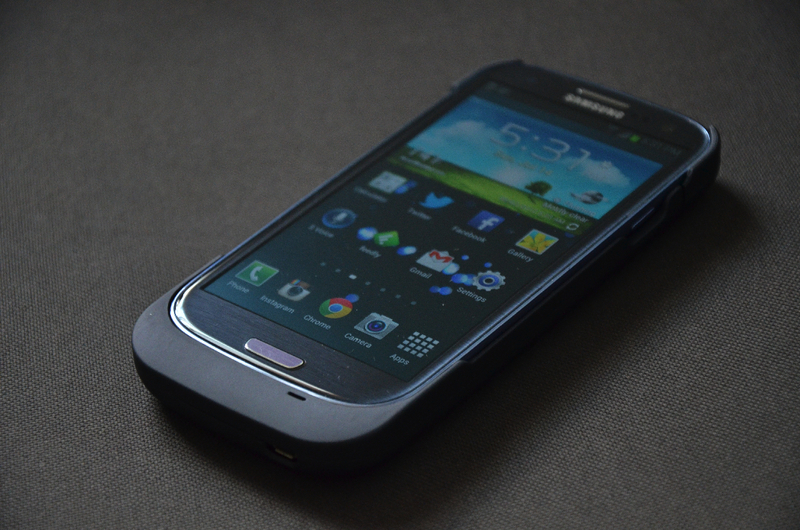 However, very few smartphone “packs” actually double as an external battery pack as well. 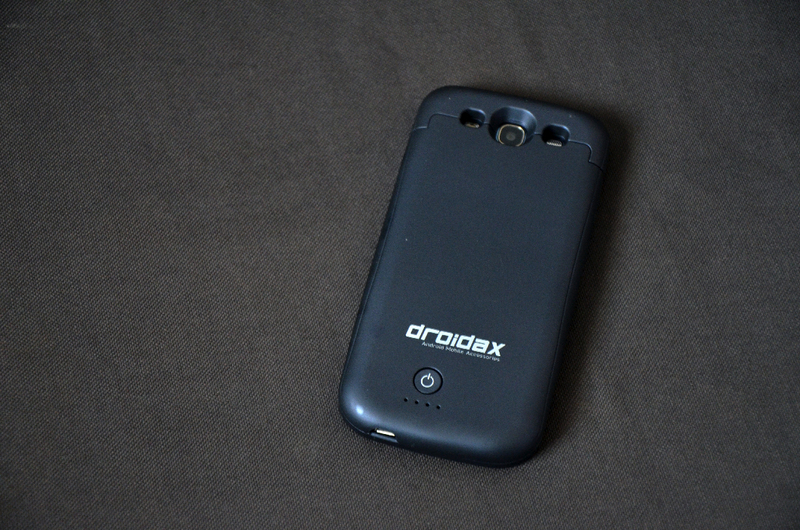 One such case Dapper Guide had the chance to test out recently is the Droidax EzyCharge for the Samsung Galaxy S III. The EzyCharge package comes with two pieces (three if you count the power adapter): the battery/charging case and the charging pad. The great thing about the pad is it uses Qi, the international wireless charging standard, so it’s compatible with any devices that can charge via that protocol. Popping our GSIII in, the case adds doubles the thickness. 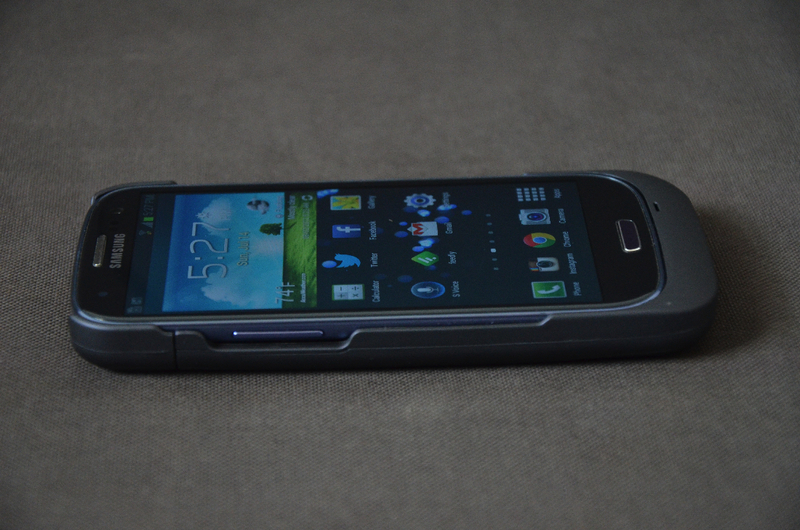 And while the case does include a built-in 1200mAh battery, it doesn’t add much in terms of protection; the top of the GSIII’s display is almost flush with the case. All of the volume buttons, power button and headphone port are still accessible. Like many other battery cases such as a Mophie’s, there’s a button on the back of the case that activates four LEDs to indicate the charge status. As for the actual charging, the EzyCharge is a bit of a hit or miss too. 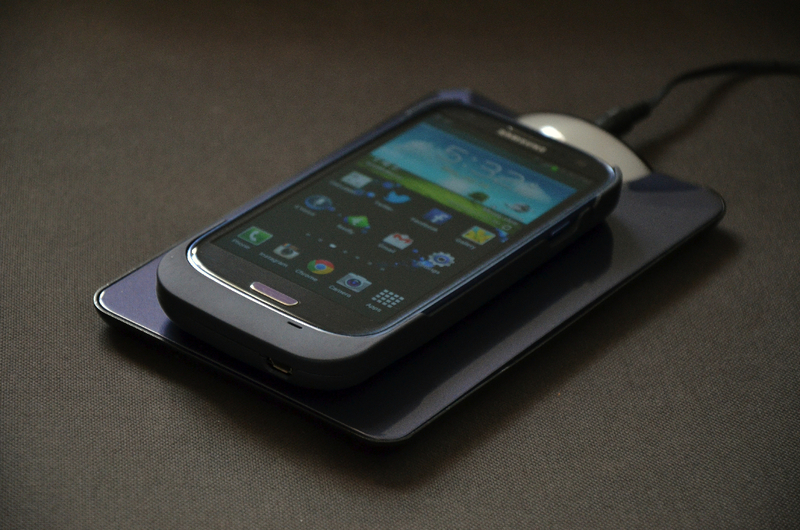 First, the cased-up GSIII needs to sit directly on a specific spot on the charging pad: dead center. Otherwise, the light LED charging light on the top of the pad won’t light up. Any placement off-center will result in non-charging. That’s somewhat of an annoyance, considering a wireless charging is supposed to take away the “specific-ness” required to engaging a recharge. Also, as the instructions state, when the charging pad is red, it means the device is charging. And when the light’s blue, it means the device is finished charging. Unfortunately, we left the device charging on its first go for eight continuous hours and the LED never turned blue; although the device did charge completely. We were able to confirm the LED never changed during additional charges as well. 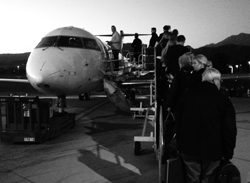 Even with daily uses, we were unable to lock down an exact charging time for the EzyCharge. Sometimes the EzyCharge finished charging in about three hours and sometimes it took longer. 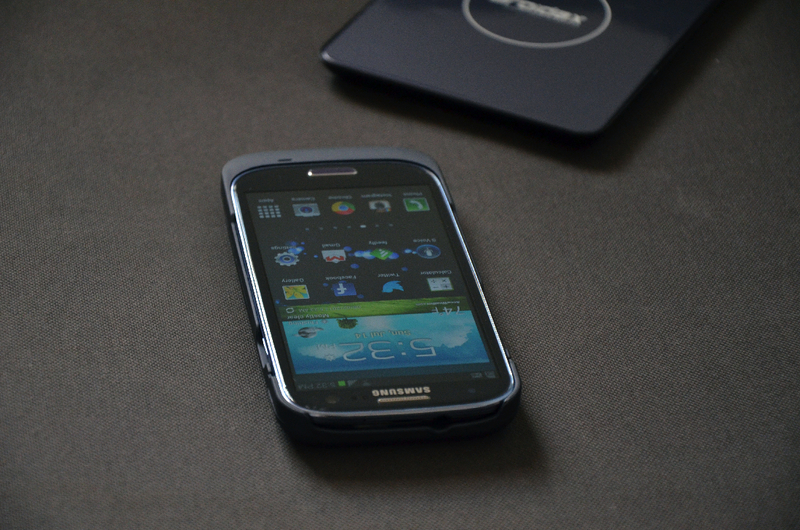 If we’re counting the time it took to charge the GSIII and the case, it took around six to eight hours, which is rather long, considering it takes on average two hours to charge a GSIII from 5% to 100%. 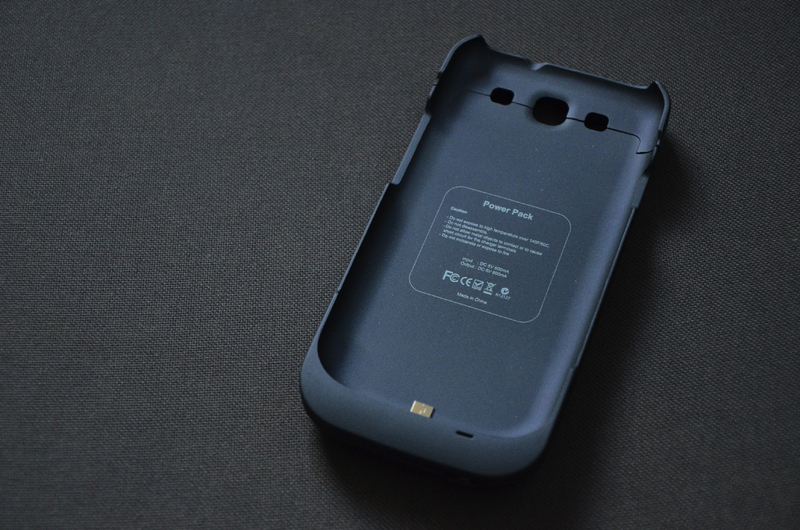 The same can be said for many comparable 1200mAh battery cases. Some 1200mAh cases even charge quicker. Furthermore, the battery case itself always felt rather warm; and at times, dangerously hot after a complete charge. 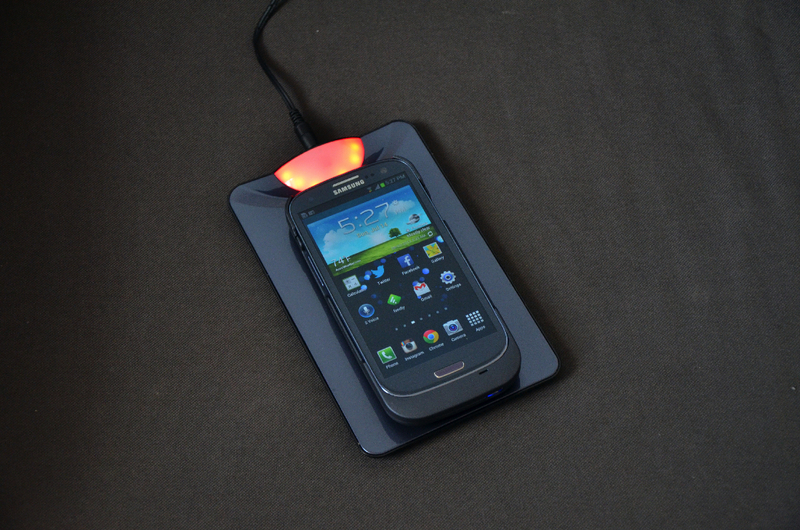 The heat does dissipate after a few minutes, but if you’re planning to slip the EzyCharge with your GSIII into your pocket immediately off the charging pad, that may be a reason for concern. But all isn’t lost. The battery/charging case does come with a micro USB port located on the lower right bottom, which can be used to charge it up via conventional cable. 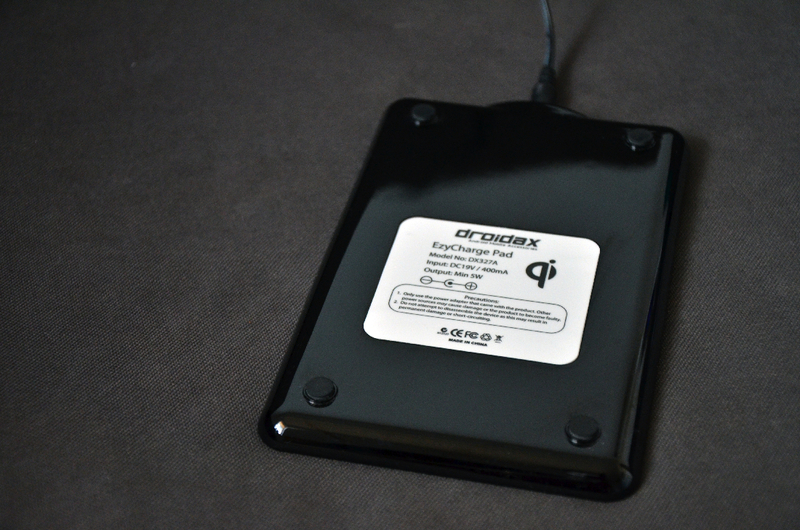 We found charging via micro USB resulted in much cooler temperatures on the battery pack. We had hoped the EzyCharge would be our go to device for killing the need for an external battery case and a wireless charging case in one blow, but alas, that’s not the case, due to its shortcomings. 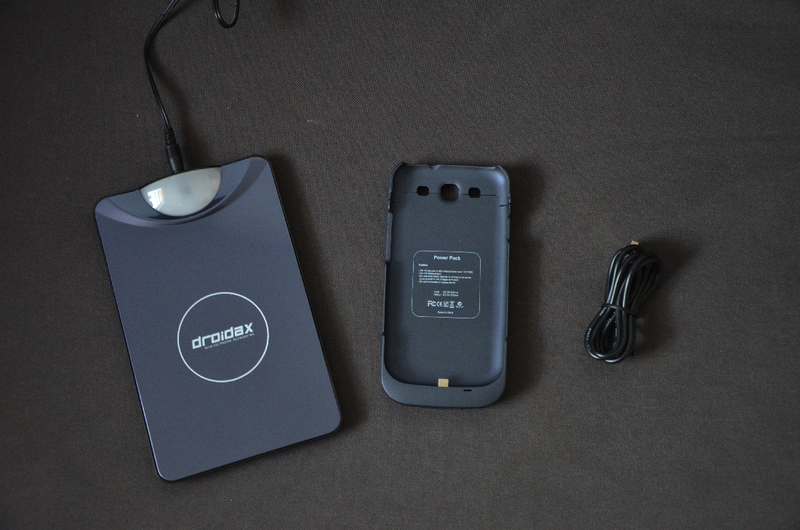 The Droidax EzyCharge sells regularly for $80. 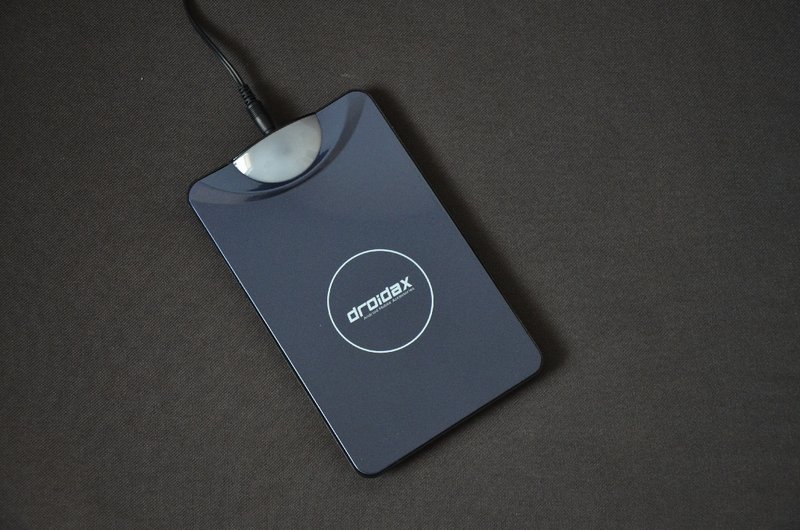 At that price and with the aforementioned faults, as well as the fact that the charging pad itself is rather cheaply constructed, we can’t in good faith recommend it over standalone battery cases and wireless charges. 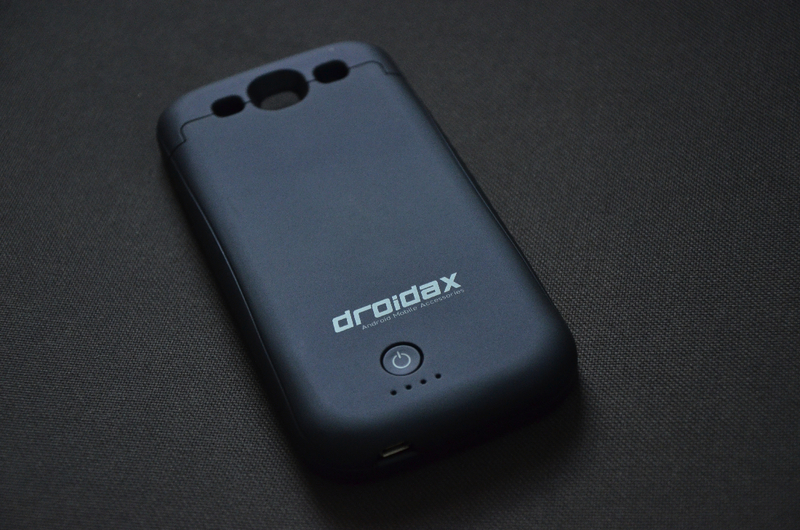 However, Droidax does have a summer sale going on until July 31 that slashes the EzyCharge to $50. 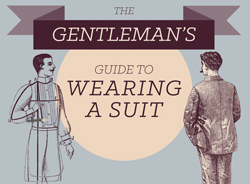 For that price, it may be worth the risk for the convenience. And if it breaks, it won’t be nearly that big of a loss. 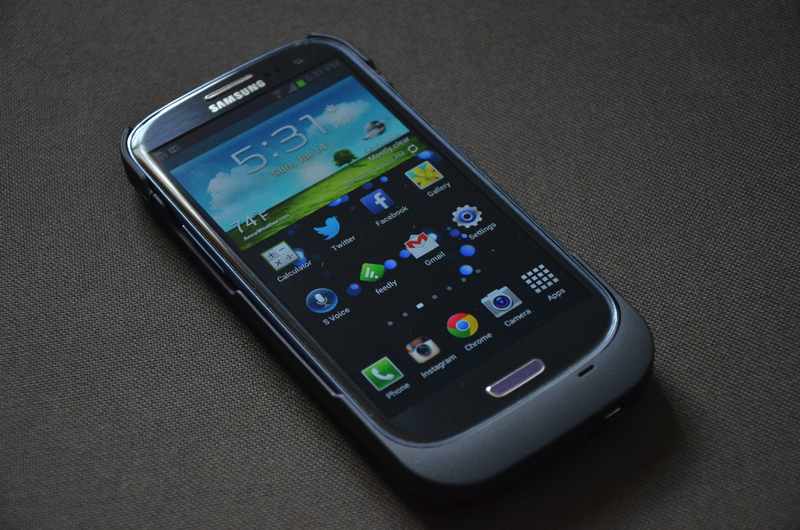 Galaxy S4 users are also out of luck, as the same charging kit isn’t available for Samsung’s latest Android smartphone.